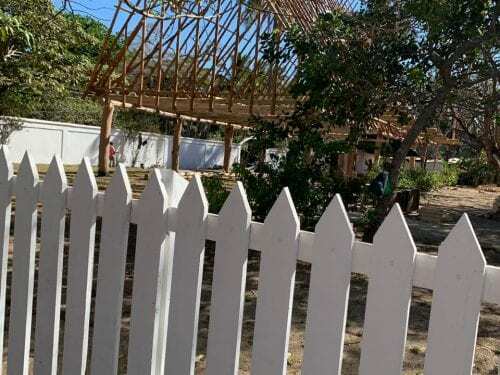 The National Service of Underground Waters, Irrigation and Drainage (Senara) ruled out the possibility that the damages that the Nosara dike suffered after Nate passed over have to do with the quality of Chinese cement. 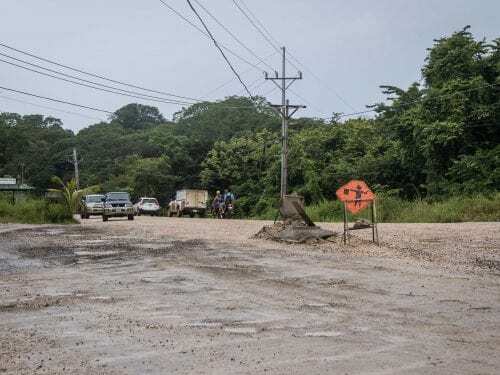 According to Marvin Coto, director of engineering at Senara, the Nosara dike was built in two phases, the first with national cement and the second with material from China, and both had a similar reaction. During the first phase of the dike the affected zone was in the area around the airport, while in the second hardest-hit parts were the crossing of Santa Marta and the Rancho Tico sector. Coto explained that during the storm, the dike took on a water flow of 763 cubic meters per second, but it was only designed to handle 426 cubic meters per second at maximum capacity. The report indicates that, preliminarily, repairing the dike could cost ¢400 million ($714,286.00). According to the chief of engineers at the National Emergency Commission (CNE), Orlando Marín, Nicoya city hall must report existing damage of the Nosara dike to the CNE so that it can be included in the general emergency plan and its damages are repaired with money from the National Emergency Fund. Senara and the Minae station in Ostional confirmed to The Voice of Guanacaste that no evaluation has been done of the garbage that could reach the ocean. While at some points the river water overflowed the dike, the chief of engineers from CNE explained that the main function of a construction of this type is to mitigate the impact. “What dikes do is decrease the impact. There is no construction that has zero risk,” he said. Marcos Ávila, president of the Nosara Integral Development Association, and Juan Luis Ramírez, president of the local emergency committee, agree that the dike helped limit the impact of the emergency in Nosara. “If the dike weren’t there, Nosara would have disappeared,” Ávila said. According to the Nosara Emergency Commission, 160 people in the Nosara district took refuge in various shelters. They have all returned home. The most affected communities in Nosara were Santa Marta, Hollywood, Santa Teresita, the north bank of the Nosara River, Casona, and the area near the gas station.